After the passing of Joan's husband Neil she invites his friends over for dinner to discuss his passing. Unfortunately for the dinner guests her friend Michael has a far sinister plan in mind for dinner. As each guest arrives more secrets are revealed leaving the main course to be killer. A well written Agatha Christie-esque murder mystery with a bit of humour thrown in for good measure. The twist at the end is perfect for this film which could work just as well on a stage as it does here in film format. Everybody involved seems to be relishing their characters and brings everything to the table, even if they aren't around it for too long. The idea of having each chapter presented with a title card which showed what was on the menu was a fun choice. 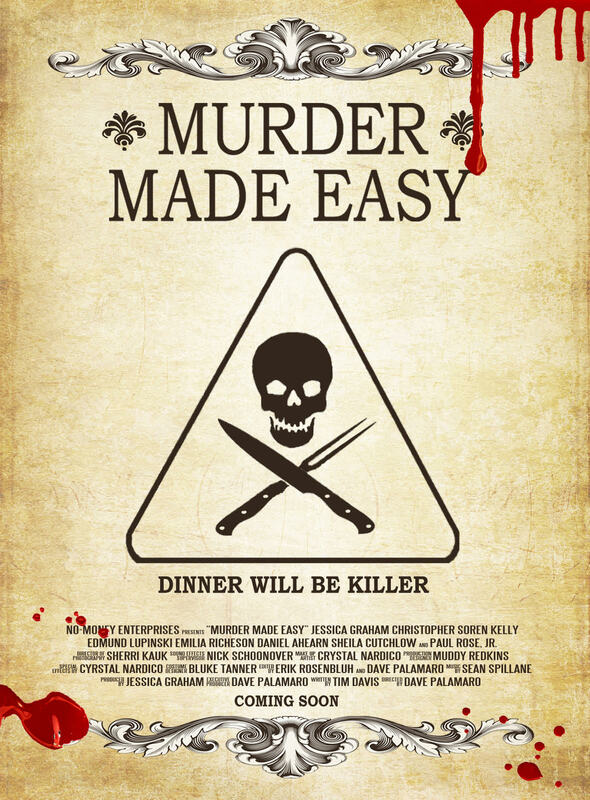 MURDER MADE EASY is best described as an extreme version of 'Come Dine With Me', the extreme being the killing. 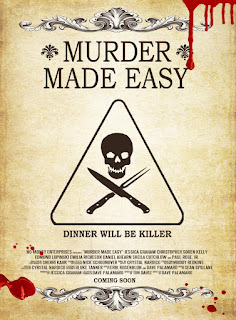 Murder Made Easy TRAILER (Short Version) from David Palamaro on Vimeo.